The July issue of Consumer Reports magazine contains a discussion on the value of probiotics -- good bacteria that may help relieve digestive disorders and benefit the immune system -- and an excellent rating of the best products to deliver your probiotic dose. Yogurt won out over supplements, and strawberry yogurts rated highest. But the report also points out that although probiotics seem to be safe, people with severely suppressed immune systems or who are seriously ill probably should avoid them. And that warning also applies to women who are pregnant or breast-feeding, and children with short-bowel syndrome. The reason? You would be more susceptible to infections if these bacteria got into your bloodstream. Was Consumer Reports raising a needless alarm? Not if you check the American Cancer Society Web site, www.cancer.org. The ACS, echoing dietary suggestions developed by the Fred Hutchinson Cancer Research Center in Seattle, says people with weakened immune systems may need to avoid some foods that are likely to harbor high levels of bacteria. The site contains a list of foods to avoid, especially if you are undergoing chemotherapy which weakens the immune system. That list cautions against eating raw and undercooked meat, fish, shellfish, poultry, eggs, hot dogs, tofu, sausage, bacon, cold smoked fish (salmon), lox, pickled fish, unpasteurized milk and milk products including cheese and yogurt, and aged cheeses such as Brie, Camembert, blue, Roquefort, sharp cheddar and Stilton. Further research into what to avoid with a weakened immune system yielded another surprising suggestion: Stay away from large doses of fish oil. Fish-oil supplements are really popular right now for their possible positive effects as a cholesterol reducer and a protective agent for the heart. But University of Missouri-Columbia researcher Dr. Kevin L. Fritsche issued this statement in 2001. "When the benefits of fish oil were first recognized, they were thought to be a 'magic bullet.' 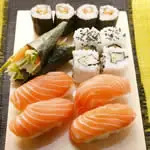 However, the influence Omega-3 fatty acids have on immune cell function indicates that under some circumstances, disease resistance is impaired. "It appears fish oil causes a decrease in the production of a molecule that helps to shape the immune response, but we don't know what the long-term consequences are to the immune system. "... Our research indicates that those with weakened immune systems, such as the elderly, could be at risk if they are taking large amounts of fish oil for therapeutic reasons." Those with bleeding disorders and those taking anticoagulant medications are also cautioned because of fish oil's anticlotting action. So much for that old rule of thumb that you can't get enough of a good thing. These cautions underscore, again, how important it is to let your doctor know what supplements you are taking and to discuss the advisability of eating certain foods if your immune system isn't functioning well. On Health is a weekly column on health issues. If you have questions or comments, write Carolyn Susman at The Palm Beach Post, P.O. Box 24700, West Palm Beach, Fla. 33416, call 820-4433 or e-mail carolyn_susman@pbpost.com.